BRUSSELS, BELGIUM - Effective 1 June, coating resins operates under the name Allnex. 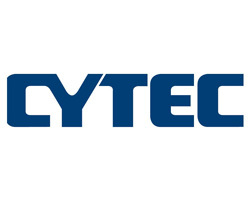 The sale of the Division's coating resins by Cytec industries to Advent International was announced for the first time in October 2012 and completed on April 3, 2013. The adoption of the new name - Allnex - is the first step in the creation of the new corporate identity. "We are pleased about the new name", explains CEO Frank Aranzana. "In our opinion it reflects who we are to what we stand for and what we achieve." The search for a new name began with a staff competition in November 2012, which resulted in over 300 facilities. These names were inspiration for a group for global diversity, carried out a further brainstorming and consult a leading branding agency settled. "Because the name of a company is one of the most visible aspects of his reputation, it was very important to take time in the selection process regarding identity, mission and future plans of the company," Frank explained. As a global company for coating synthetic resin, which offers numerous products from a single source, Allnex is unique on the market. We work together with our customers who use our comprehensive expertise and countless solutions to create value in the further steps of the supply chain. Allnex delivers not just products: we help to improve performance. Allnex is innovative and offers the customers and market new technologies and new ideas. These characteristics lead to our name Allnex and our slogan ' all about resins' (everything about resins). The new logo of the company was designed so that it reflects portfolio, sustainable solutions, growth plans and commitment to continuous improvement by Allnex. Above all, the many colours and sizes of the droplets are for the variety of technologies, products and talented staff of Allnex. In addition, the drop of the green symbolizes sustainability, while running upwards movement of the droplets and the text are emblematic of the use of the company for operational excellence, innovation, and growth for Allnex and its customers. "We think that Allnex is the name behind which we all stand and to which we can all be proud," adds Aranzana. As a globally operating company with a turnover of USD 1.5 billion Allnex is a leading supplier of synthetic resins for the fields of architecture, industrial and OEM Coatings for special purposes. We are recognized as a pioneer in the field of specialty chemicals and known for our professionalism and the broadest portfolio of high-quality, innovative liquid resins and additives, radiation-hardened resins and powder coating resins and Crosslinkers for use on wood, metal, plastic and other surfaces. With production facilities and support centers for research and development in the world we offer our customers about it, responsive local support and them help, to bring rapidly advanced coating systems on the market.